As always, the IGI Annual Conference in Nairobi was interesting and enlightening. 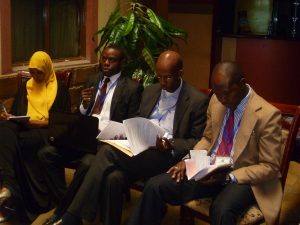 Apart from the regular reports from around Africa, there were two useful panel discussions reviewing some of the progress and lessons learnt from four active FITs (Cameroon, Kenya, Rwanda and Somalia). There was also a short but very moving plea on behalf of the victims of ebola in Liberia, and a guest speech by the Kenyan Minister for Youth Affairs. Formal business included approval of accounts and the re-election of Ian Leigh for a further five-year stint as a Trustee. The resignation of Barry Todd as a Trustee for personal reasons was noted. Turnover for 2013-4 at around 10,000 GBP (central IGI only) was similar to the previous year. The main country (FIT) reports can be read by clicking the country names in the summary below. FITCAM (IGI Cameroon) continues to make good progress, as Didero explained. Building on internationally acclaimed capacity-building in Cameroonian public education, FITCAM has been appointed to key roles in national anti-corruption organisations. This has led to valuable work exposing corruption in the letting of public contracts. Current projects also include the delivery of a web-based tool for improved transparency in spending on education infrastructure. The Congo (DRC) report, received in writing, reported successes in organising radio debates to educate people in the issues of corruption and the coming elections, together with research into social participation of the indigenous pygmy people of Idjwi Island (South Kivu). The work of the CTAs in Kenya continue their focus on citizen participation and public accountability. 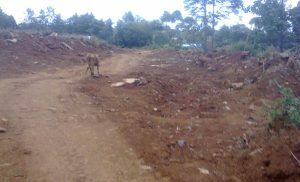 One example presented by Sakwa was a road on which millions of Kenyan shillings have been “spent”, but there is still nothing to show for it beyond a dirt track. This illustrates one of the dangers of the increasingly devolved government and funding which has come with the new constitution, implemented at the elections last year. 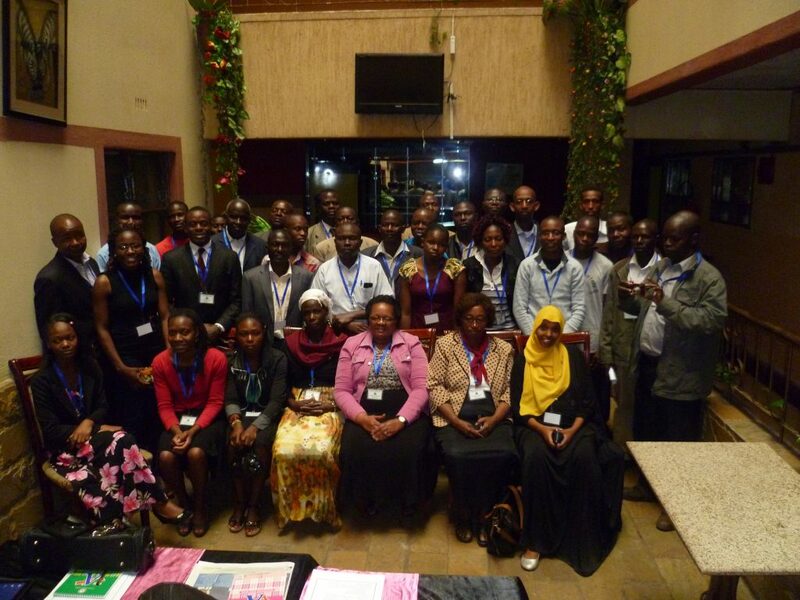 IGI has played a role in educating people in the new constitution before and after the elections and is building working relationships with the relevant county administrations to enable scrutiny of local spending. Timi explored the many-facetted Nigerian experience of corruption, arising from monopoly plus discretion, without accountability. He then spelled out the ambitious plans of the Integrity ‘Ododo’ Development Initiative (IGI, Nigeria), both to tackle corruption in education and to educate Nigerians in the issues of corruption, through partnerships with the Independent Corrupt Practices Commission and a Nigerian radio station. Jules recounted the achievements of Rwandan Institute for Governance, particularly participating in governance clinics and educational debates during “Governance Month”, training 100 students and developing teams of volunteers in Kigali. Although Rwanda is one of the least corrupt countries in Africa, there is still corruption and some of the “big fish” have impunity. Habiba reported on Somalia’s dismal failure to move away from its corrupt past, despite government assurances. The haemorrhage of public funds to private pockets is documented with some staggering statistics. Against the dark background of being one of the most corrupt countries, even in Africa, and despite minimal resources, IGI in Somalia was able to report successes. In particular, pioneering anti-corruption training workshops with a cross-section of society in Mogadishu, and delivering an awareness campaign in some of the schools in the capital. UK reported continuation of support activities on behalf of the Trustees. The report highlighted how huge the problem of corruption remains around the world, and highlighted some key issues of the past year. Summarising the contribution of IGI globally, the Paul noted the goals of IGI over the next year for continued growth, both in support and in delivery. It is good to note, too, that a guiding committee has been reconstituted in Zimbabwe, and there is promise of work starting there, too.